The Bentley Scottsdale Polo Championships is an outdoor spectacle like few others. Thank you for being a part of it. 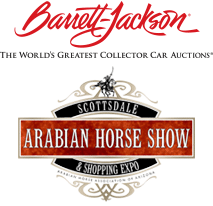 This Saturday and Sunday, we’re pleased to go indoors for the first ever Arena Polo Party at the world-famous Barrett-Jackson Collector Car Auction at WestWorld of Scottsdale. It’s a “horsepower” event like no other. Watch the greatest arena polo players in the world face-off all weekend, including the prestigious Townsend Cup at 2pm on Saturday, January 14th. That’s when the top two players on the planet – one from the USA and one from England – compete against each other at WestWorld’s indoor Equidome. General Admission tickets start at just $17 per day with advance purchase and provide for attendance at all the polo matches on Saturday and Sunday, as well the acres of the automobile extravaganza that is Barrett-Jackson. If you are interested in reserved VIP seating mid-arena or in the first two rows that’s an extra $30 per ticket. For more information about all the festivities and ticketing please go to ThePoloParty.com/Arena/ or call 480.423.1414. Outdoors. Indoors. There’s no better place than Barrett-Jackson and no more interesting new event than the Arena Polo Party on Saturday and Sunday January 14th and 15th. We hope to see you there.